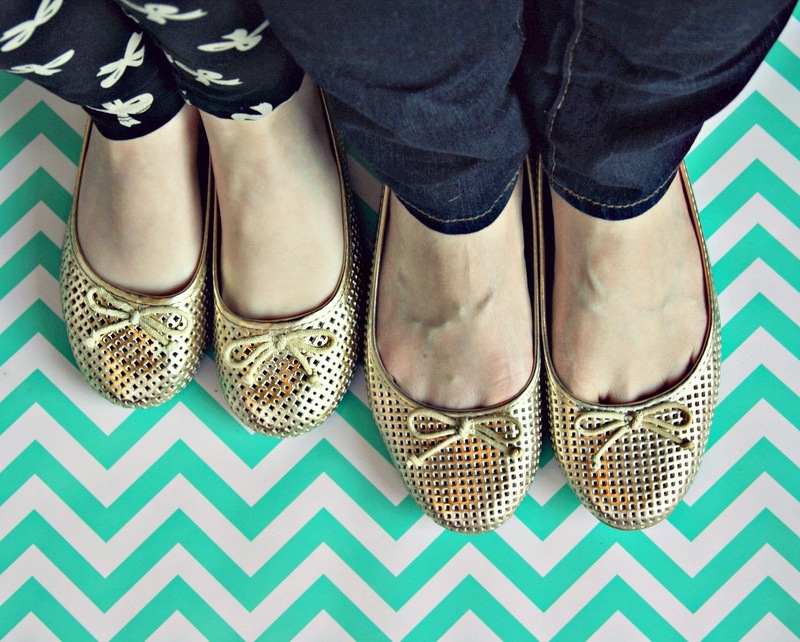 I am dying over the fresh new flats for Spring, especially anything in silver and gold. My daughter’s at this stage where she loves dressing the same as me, so I was delighted when I found two pairs that are nearly identical. Hers: Old Navy. Mine: Target. We’ll wear them around the house until it’s nice enough to wear them outside. What’s on your wishlist for Spring? I LOVE those shoes! The smoking slippers, right? The other day I saw a pair one size up from my daughter’s size and should have bought them — now they’re gone. 😦 Will you send me a pic if you get a pair? I bet they’d be super cute on your feet. And thanks for your sweet comment. I love your blog too! Hello! Found you via the Monday Mingle. Those shoes are so adorable; I’m a sucker for anything metallic.